Fantastic stuff moos, keep it up! This is very nice. Many thanks for sharing. Apurva from Pune, India. Whenever you post a record that I actually already own – like today – I suddenly feel hip! Thanks! And keep the benga coming, it’s lovely music. Yeah I’ve had this one for ages too. One of the records that inspired me to keep exploring the different styles from different parts of Africa. Love the Kenyan sound! 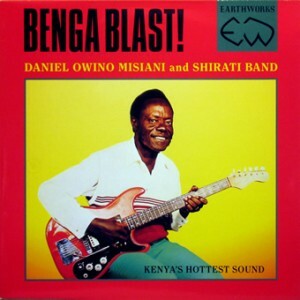 Fortunately that young Daniel Owino persevered when his father broke his first guitar. Wa miel uru benga! (let us dance all something of beautiful).